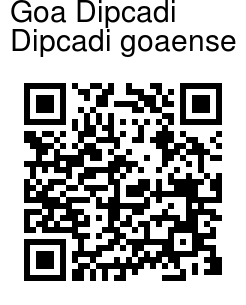 Goa Dipcadi is a newly discovered (2009) species of Dipcadi. It is a bulbous, scape-bearing herb, 15-40 cm tall. Bulbs are spherical, 1-1.9 cm in diameter, profusely rooting from the base. Leaves are borne in a rosette, 4-7 per bulb, linear, 5-25 cm long, 3-4 mm wide, deeply channelled, green, slightly broader and white at base, entire along the margins, narrowed at tip. Flowering stem is 1.5-4 cm long, round, with a flower raceme 4-10 cm long, 2-8 flowered. Floral bracts are broadly ovate, 5-8 mm long, long-pointed. 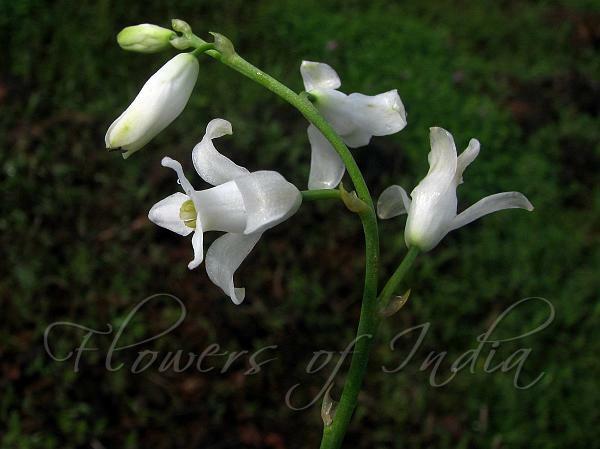 Flowers are stalked, shining white, 1.3-1.8 cm long, 1.4-1.9 cm in diameter when fully open. Flower-stalks are 5-10 mm long, 8-15 mm in fruit.